The International Garden Photographer of the Year Macro Art Photo Project has just launched for entries as the second photo project for Competition 13. This photo project seeks to celebrate the world of plants and gardens through close-up perspectives and artistic methods of capturing nature’s botanical beauty. If you’re thinking of entering, a great starting point is to check out the winners from last year. There are so many subjects and styles to choose from, so some previous winners might be able to give you the inspiration you need to harness all of that creative energy you have waiting behind the lens. From resting mayflies to frozen peat moss, the scope for interpretation is huge. Speaking of mayflies, if you haven’t read our interview with last year’s winner, Petar Sabol, then definitely check it out. There are interesting insights and the passion behind the answers is infectious. If you’re still looking for another reason to enter, then don’t forget our winners are some of the most widely covered in print and digital media outlets. Macro images have a particular charm about them and usually appeal to a very wide audience. Because of this, last year’s winners had some tremendous coverage, such as the BBC, Guardian and Telegraph. We’ve also been hard at work with returning feedback, so here’s some common things to watch out for with your winning macro shot! If you’re capturing the close-up details of a flower, make sure that the specimen is pristine! Damage, as well as patches of dirt can be distracting when shooting at this distance. Remove any unwanted and distracting elements such as twigs, branches or other flowerheads. These can draw attention away from what is meant to be the main subject matter. Find a background that is as engaging as the subject itself and which complements its features. Ensure that the composition has a natural resting point for the eye. Too many elements can leave an image with a confusing identity. If you’re adding an effect in post-capture make sure it elevates and not overwhelms the subject matter. Find the subject then take a while to think about your intention and what you want to capture and why. This will help communicate a sense of style and purpose. The slightest change of position can sometimes make all the difference - once you’ve found the subject and scene, keep shooting from a variety of different angles until you’re confident you’ve got the best from the opportunity. Good luck and thank you for helping us share the beauty and importance of a green planet. 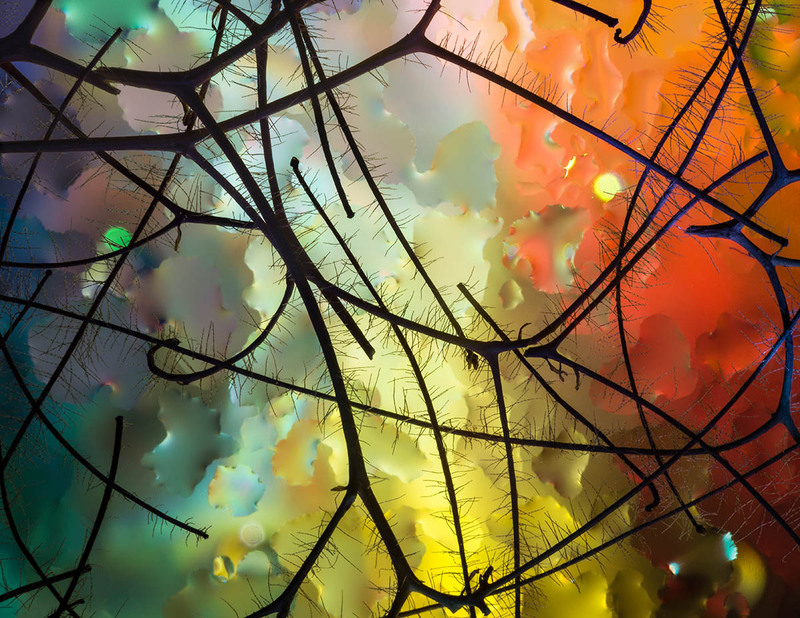 Enter the Macro Art Photo Project.